Are you interested in playing with the latest and greatest features and giving feedback to the eMotimo Team - jump on in an play! Please be aware these are works in progress and not always good for production shoots - stick with the released versions if you aren't comfortable with potential bugs! Download the .srec firmware file you want. copy srec file under the update folder of your uSD card so it looks like SDCARD:/update/firmwarefileiwanttoload.srec. If the card is blank you need to create the update folder. Insert the uSD card to the spectrum - make sure it goes in straight and is fully seated. Power on and wait 20 seconds - check that the new firmware flashes on the screen on startup. Fully enabled Jog functionality with Dragonframe 4.1. This release and beyond is officially approved by Dragonframe. 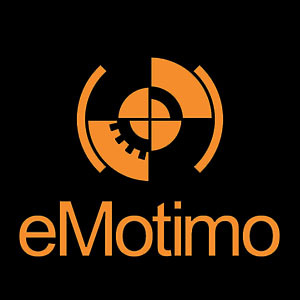 The eMotimo spectrum is now the first 3rd Party Device to natively support real time shooting. Slowed down backlash compensation on return to start for all moves. BUG Fix - Fixed overrun issue with long linear moves where motor would no long change direction during set up. Implemented delays based on Start and End Dwell times on Programmed Video for ping pong mode. Feathered FPS on starts to help easy back into reverse direction change for interviews. Helps with large camera setup. enabled User 1 Tuning - Profile Stored to Memory - Access via Tuning option in Settings menu. This profile is then selectable on Live Motion Menu along with other standard profiles. Revised Deadzone calcs and joystick reading routines - finer resolution for crazy intricate joystick work. Evened out velocities on both sides of joysticks. Added G215 and G216 commands to return StopA and StopB positions on request. API is published here. Resolved Bug in LOG folder not creating correctly. Removing old builds from download area. Resolved issue with dragonframe where uploaded move would not copy to the end. Playhead accurate and working for keyframable DMX lighting. RC007_38 (6/20/18) - Playing with logging. Triggering RED Cameras. Update Test DD to be silent. looked at throttling of the velocity during move, now allow up to 20% overage compared to 10, globalized variable. Added code for SD Card read/write tests. Adding basic triggering code for the RED for both video and SMS. Custom cables are on order. Added Settings for I/O Port: RED Trigger. Added New Dana Dolly Profile called DD Test to manage starts and stops better for heavy cameras. This feathers our starts and stop more to help reduce/remove vibrations some users are seeing with during the starts. Try this out with at least 20% ramp in programmed moves! Updated the way M4 reads feel (this is typically for Fz) We updated the reads from the R2/L2 Squeezy triggers to remove deadzones and make the first 50% of the engagement more sensitive. Several users said getting the lens into the right position was tough with the old "curves". We like the feel better now too. Issue when modifying a ping pong shoot that has been stopped. Recommend, fully setting up any new ping pong shots rather than break in and modify to avoid this bug. Bug-Double fired external triggers from 360 Photo mode. Added Slider Selection Option – Select your slider – this selection will drive the motor profiles available for selection as well as distance calculations on the display. Programmed Moves - Video – Increased Max Duration from 1 hour to 12 hours. Programmed Moves – Multipoint – Increased onboard keyframes from 5 to 9. Programmed Moves – Multipoint – Enabled programming without remote in the field. Use only 8Way joystick. When selecting a multipoint move, first click sets Pan/Tilt, second adjust Slide/Focus. Programmed Moves - Multipoint –Axis Movetypes – added multipoint Linear as an option – this is very good for focus. Still recommend using multipoint curved for pan and tilt in all scenarios. Programmed Moves - Duration/Ramp control is now much improved to prevent users from selecting values that could result in impossible moves (overspeed, accelerating too fast). Programmed Moves -Enforce speed throttling during moves to prevent motor overspeed for impossible multipoint moves. Programmed Moves - Stopping video moves mid run is more graceful, rather than hard stops. GoTo Frames – users can now “bailout” of setting a Target by pressing. Square without locking it down. Live Motion – Improvements and changes to many move profiles. Addition of Dana Dolly Turbo mode that is recommended only for 24 volt supplies. Live Motion – Rec/Playback. Increased Max record time of live moves to 2 minutes at 24fps (2880 frames). BUG Fix – resolved issue of small motor moves when transitioning between certain screens. BUG Fix – display issues when moving between menus. Bug fix for suntracking mode early exit from tracking mode after several minutes. Updated Quiet motor profiles to be less prone to skipping on fast starts with heavy rigs. Added Photo Tools --> Sun Tracking - this is basically using the tilt axis to counteract the rotation of the earth (15 deg/ hour). Slew adjustment at various rates to help push it on track. Updated Setting's Menu to be 3 pages long instead of side by side. Added new I/O port setting with:Ext Triggering (default), eMotimo API, Dragonframe as options. 6/22 - Reverse for SMS (Timelapse) doesn't work. Just fires a single shot and returns to main menu. This doesn't seem to be an issue with video moves. NEW - 360's - in test - should make it easy to set up single dual and three row 360's by simply pointing to a start point and selecting how many pics you want in a 360. Add rows if you want, and go.